Wear what you want while still avoiding hurting anyone's feelings. For some brides, the prospect of wearing a family heirloom on their wedding day is something they’ve looked forward to as much as the wedding itself. After years of trying on their mother’s dress or admiring their grandmother’s ring set, it’s finally their turn. But for other brides, this is their special day that they have planned carefully and relish the opportunity to showcase their own personal style. There is nothing wrong with wanting to select your own ensemble, but what happens when someone offers an heirloom from their own wedding day… and you don’t want to wear it? What is meant to be a sweet gesture can end up putting a lot of pressure on the bride. In some cases, if the veil of a family member matches your gown perfectly, it’s probably best to accept that a designer veil isn’t a necessity, especially if it would mean a lot to your loved one. 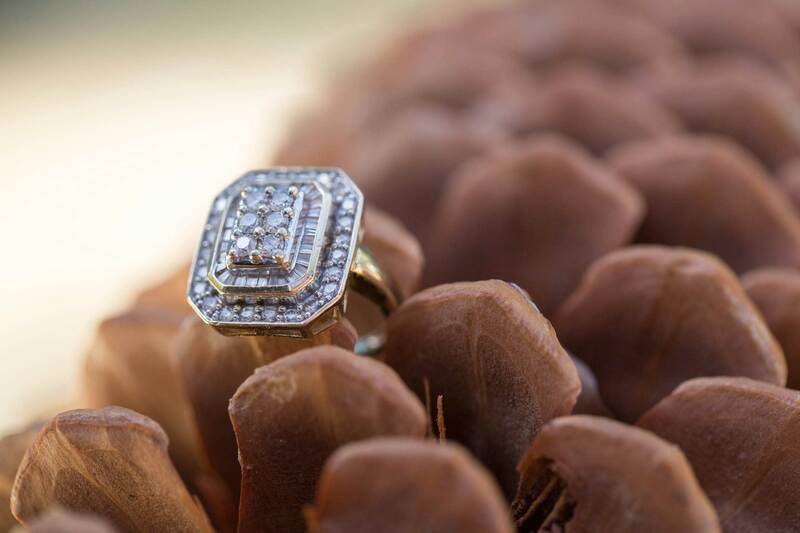 However, if you absolutely can’t imagine the idea of wearing someone’s antique piece, read our advice below to learn how to navigate this awkward social situation without damaging any relationships. If your future in-laws offer you something to wear on your wedding day, you must always express your appreciation for the sentiment. Even if you have had problems with them in the past and you have a feeling the gesture is passive-aggressive, this is a situation where it’s best to take the high road. If you’ve already selected your entire ensemble, then the truth is the only excuse you need. On the other hand, if you have openly discussed needing a veil or jewelry and what your in-law offers is not to your taste, gently say that the item offered does not match your dress – while of course expressing how much you are touched by the gesture. When it’s your own family that suggests you use an heirloom for your nuptials, you usually do not have to tiptoe around feelings as much as with in-laws; however, you are also likely more inclined to want to make them happy. If the heirloom in question is an engagement or wedding ring, offer to use it for the ceremony, but explain that you and your future spouse want to have a new ring to represent your love. A desire for a matching set may also work as an explanation. You can also use some pieces in a way not originally intended. For example, most jewelry pieces could be incorporated into your bouquet wrap, and a veil could be part of a chuppah or ceremony arbor. Discover the pros and cons of wearing your mother's wedding dress, learn charming wedding traditions from the South and find out how to bond with your future mother-in-law.